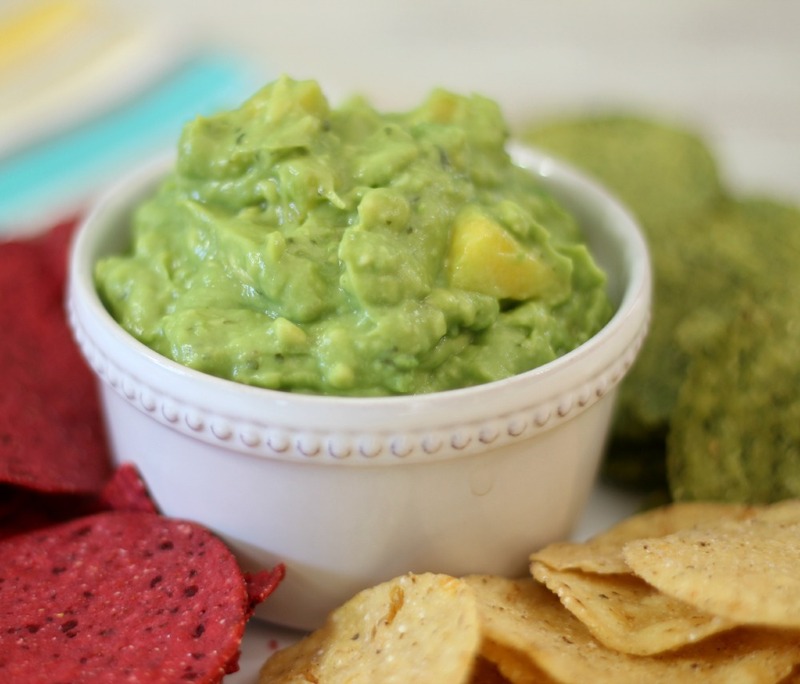 Today I teamed up with the Better Chip to share with you one of my favorite afternoon snacks, guacamole! Oh how I love guacamole and boy does it pair perfectly with The Better Chip. 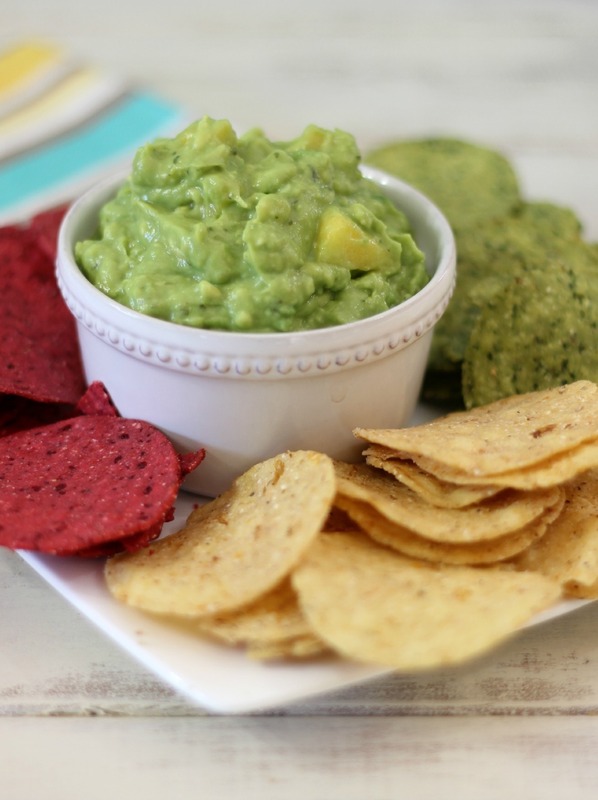 The guacamole is creamy, slightly sweet from the chunks of fresh mango and a tad spicy from the jalapeno. This is such a wonderful guacamole and would be perfect for afternoon snacking, serving with tacos or serving at a big party. This recipe makes a nice amount too, over 3 cups! That’s a lot of guacamole! When I made the guacamole I placed a jalapeno and garlic into a food processor until it was chopped up. Then I added two avocados and blended it until it was creamy smooth. I like it creamy, but it’s always nice to get big chunks of avocado so I added the last avocado and just pulsed my food processor a couple of times and mixed in my mango. Funny after making this recipe, I forgot how wonderful mangoes taste. Such the perfect sweetness. 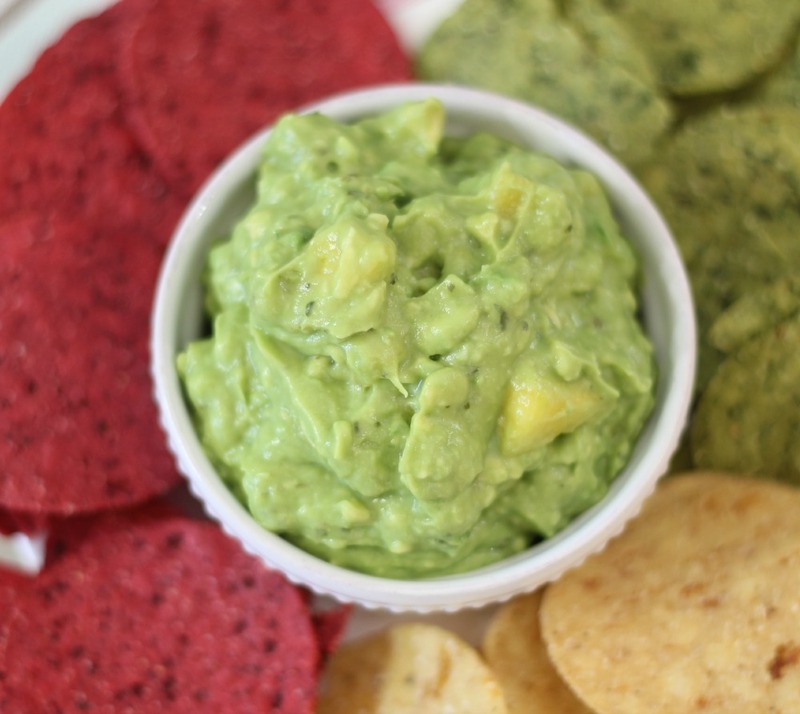 I served my guacamole with The Better Chip in flavors of Jalapeno, Chipotles, Plain Corn Chip , Beets, and Spinach and Kale. I really have to admit my favorite is the Chipotles and Sea Salt and Jalapenos with Sea Salt. But I am sure you are not surprised, considering how I like my food spicy. 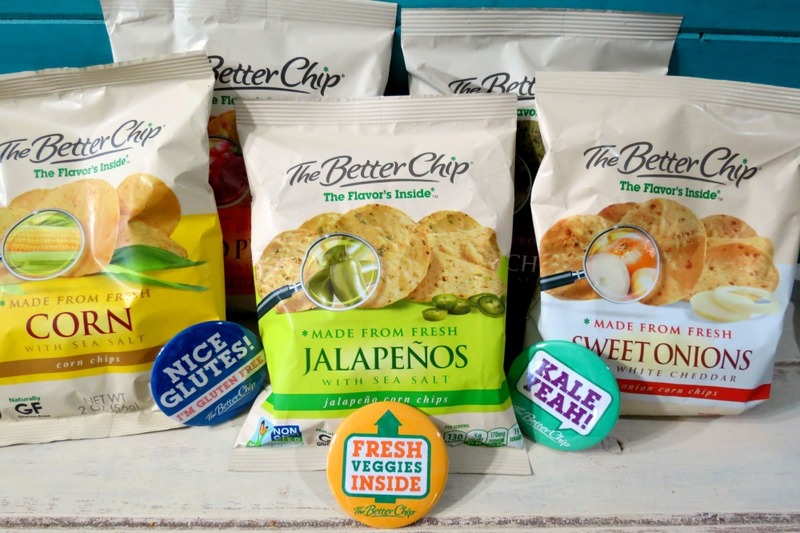 Have you ever heard of The Better Chip? They are Non-GMO, gluten-free, vegan friendly and have fantastic flavor. They really add zip to what ever you pair your chips with! 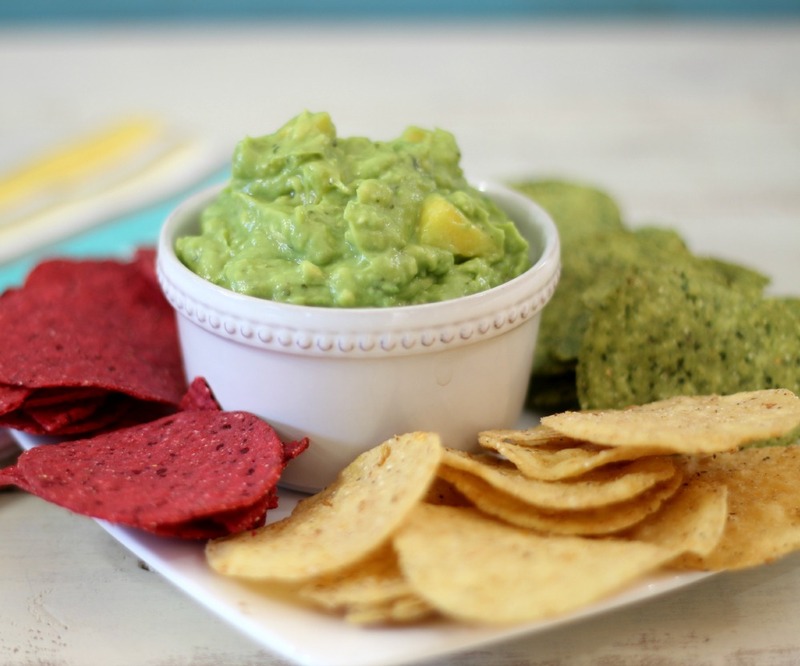 A creamy, slightly sweet, slightly spicy guacamole with chunks of freshly diced mango. In a food processor, add jalapeno and garlic. Process until broken up. Add 2 avocados, lime juice, cilantro and salt. Process until creamy smooth. Slice last avocado and place in food processor, pulse just a couple of times. You want chunks. Pour into a bowl and stir in mango. 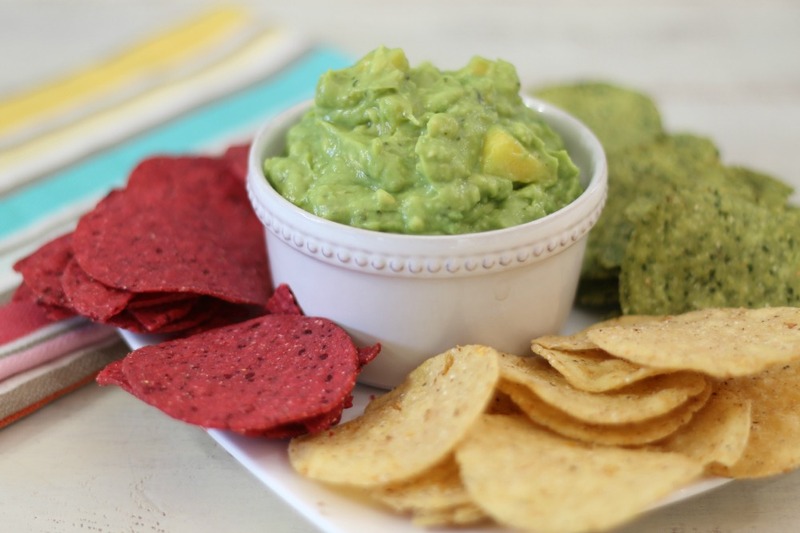 Save your avocado seed and add it to the finished guacamole. This will keep the guacamole from turning brown. Store in an airtight container in the refrigerator. I just love this guacamole. Oh and place the avocado seeds in the finished guacamole. It will help it from turning color. If you interested in The Better Chip you can check them out here. Mango in guac sounds so super!! THe perfect dip. This sounds AMAZING Jennifer! Love this Guacamole, you know how I LOVE mango! Oh I know! I love mangos too!!! This is a nice spicy guacamole with just a hint of sweetness. I am so glad I clicked on this post. I love mango salsa and I love guacamole. What a great combination. Thanks for sharing!